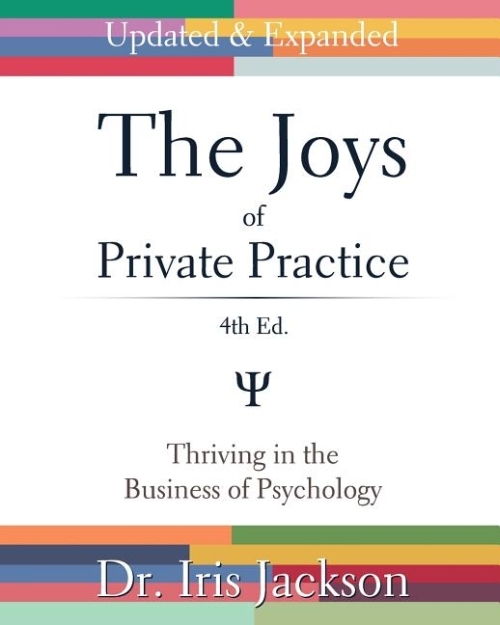 For over 20 years The Joys of Private Practice has provided new and experienced psychologists the tools they need to thrive when starting and running an independent psychology practice. This significantly updated and expanded edition continues to offer sound practical advice on the details of starting a business, while exploring the unique opportunities psychologists face in rapidly changing institutional, cultural, and technological environments. As founder of one of Canada's most established psychological service businesses and former president of the Ontario Psychological Association, Dr. Iris Jackson has spent her career mentoring psychologists who want the professional autonomy of being in private practice. From her open-door approach to helping other psychologists establish thriving and ethical private practices, to her past workshops and mentorship groups, to this book now in its fourth edition, her her enthusiasm, openness, business acumen and ethical knowledge have helped hunders of psychologists find security in professional self-employment.